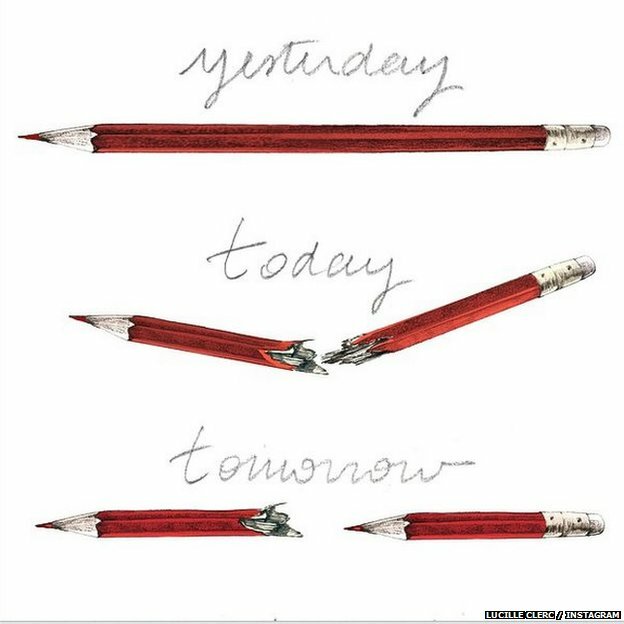 The one-two punch of the SONY hack from a few weeks ago and the terrorist attack in Paris on Wednesday, is a clear reminder that the right to express oneself is very important in a modern society. This is a bigger issue than a comedy or a cartoon. Without freedom of expression, democracy cannot exist. 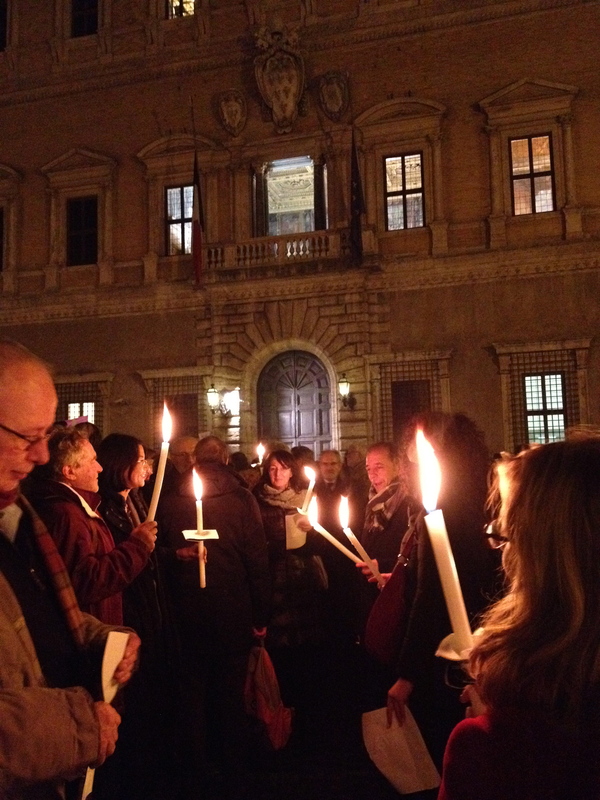 Last night, on my way home, I walked through Piazza Farnese where the French Embassy is located in Rome. I have been in this building several times, mostly to vote. 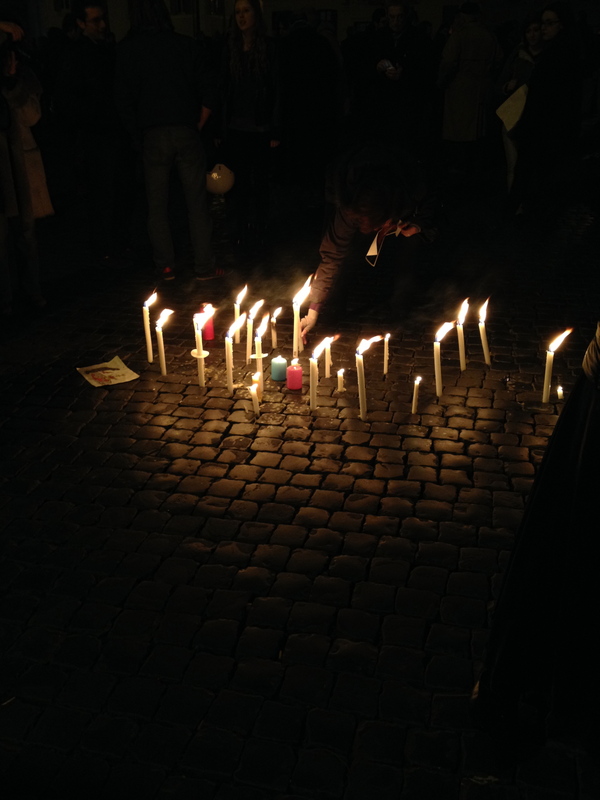 I saw many employees, neighbors, and French expatriates gathered in the square holding candles. The entire square was packed. It was somber but moving. Thanks and a happy weekend to you. I can’t understand why people can’t live and let live. How can a religion promote terror? Please be safe. I don’t understand these actions either. Previous Previous post: Hello 2015!